After my armhole struggles and many other issues with this dress… Here it is! The armholes are slightly dropped. This is a pattern feature I don’t like too much. But I didn’t realize while I was fitting the dress…and to be honest, given all the issues with this project I doubt I would have fixed it. Dopo tutti i problemi con le maniche e tutto il resto…ecco a voi il vestito finito! Le maniche sono un po’ ad aletta. Il modello e’ cosi’ ma non mi piace troppo. Non me ne sono accorta mentre lo provavo…e in realta’ visti tutti i problemi dubito che le avrei modificate. The back is pretty fitted and you can see every detail! I was a bit surprised as I looked at this picture…I’ll try not to think about it! Il dietro è molto attillato…si vede tutto! Sono rimasta un po’ sorpresa quando ho visto la foto…ma cercherò di non pensarci! Finally, I took the courage to properly transfer Sewing Princess blog to its own domain Sewingprincess.com. Actually, Sewingprincess.com domain already worked before but WordPress was installed on a different domain and I was tired of this. 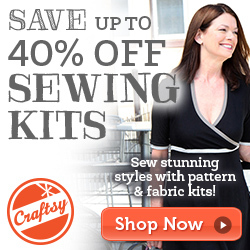 So…now you can also Follow SewingPrincess.com with Bloglovin or Feedly. It’s still not 100% perfect, so I will keep on using both addresses for some time don´t worry…but if you already want to update your links, you can. Please bear with us (for the record, I didn’t do it on my own)…some hiccups can still happen. Transferring WordPress between two domains is not easy…to put things mildly! FInalmente ho preso il coraggio ha due mani e spostato il Sewing Princess sul dominio Sewingprincess.com. In realtà già da tempo Sewingprincess.com funzionava ma WordPress l’indirizzo principale era un’altro e ero stufa. Ci potrebbero ancora essere dei problemi, quindi continuerò ancora a pubblicare su entrambi gli indirizzi, non vi preoccupate…ma se volete già aggiornare i link, potete farlo. Vi chiedo un po´ di pazienza (per la cronaca non ho fatto il lavoro da sola!) perché ci potrebbero ancora essere dei problemi. Diciamo che trasferire Worpress tra due domini non è facile…per essere diplomatici! And to close off here is an outtake…just because life is fun! E per concludere una delle foto non proprio da giornale…perché la vita è divertente! WOW!! Very chic dress; you look fabulous Silvia! I love that front drape. Congrats on the switch to self hosted. I’ve long wanted to do the same, but haven’t had the courage! Wow! It looks great! I’m so happy it turned out well after all your trouble with the pattern! It really suits you! The shape and the draped parts are lovely! Love this dress on you. Well worth persevering with! And congrats on the new domain. I certainly couldn’t have done my change without The Husband taking over. The instructions might as well have been in Aramaic! You have a great week too! Te veo fenomenal Silvia, este patrón siempre me gustó y en ti queda perfecto. Me parece un vestido fabuloso, Silvia! Y tu cuerpazo de infarto lo luce mejor que nadie aunque si te preocupa un poco el tema de los hombros, yo creo que puedes cerrar un poco en la costura del centro de espalda en esa zona donde termina el escote, de esta forma conseguirás que los hombros del vestido tiendan a “juntarse” un poco más. Aunque yo veo un vestido perfecto!!! Miles de besos. Firstly, your dress looks great. I love the gathered detail and secondly, how cute is your hair in theses shots? You look gorgeous, Silvia! Don’t worry about the back, usually these details are much more visible in photos than in real life. Silvia, you look great in that dress! Was the sleeve problem due to poor drafting of the pattern? Anyway you succeeded in fixing the problem. Te ha quedado un vestidazo Silvia! Además te sienta genial 🙂 La parte delantera es super chula con ese drapeado. Yo no le veo ningún problema, pero si estas más agusto ajustándolo un poco más, pues adelante! Besos guapa! Lovely. And can I just say how I admire your perseverance because with everything that went wrong I would have left the project half done. This dress looks fantastic on you, Silvia!